I've been reading a lot of YA lately and the need for a Gillian Flynn-esque adult thriller was very high. 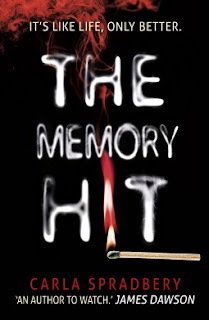 Psychological thrillers, in general, can be hit or miss for me. Either they're predictable and I dislike them, or I become obsessed. The Lie is one of the latter. The Lie tells two stories, in alternating chapters - the present day, and the past events of five years ago. 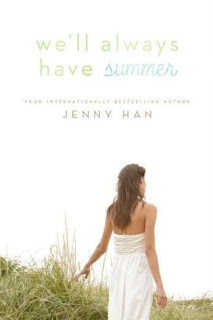 The present day follows Jane, a homebody who has a love for animals, her caring partner and his young daughter. But Jane doesn't actually exist, the life she has built for herself is all a lie. Her name isn't even Jane. Five years ago, Jane (then known as Emma) and her three best friends set off on what should have been a trip of a lifetime to a yoga and meditation retreat in the mountains of Nepal, but the trip quickly turns into a nightmare of lies, deceit and disturbing secrets. There is so much more I want to share about the plot of this story, but the less you know, the better when going into this book. 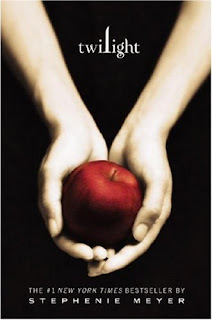 Firstly, the characters were perfectly flawed in a way that made me love and hate them all at the same time. When I say love, however, I mean they're so great to read about. They are all so flawed it feels amazing, and a little bit scary, to get lost in their world. 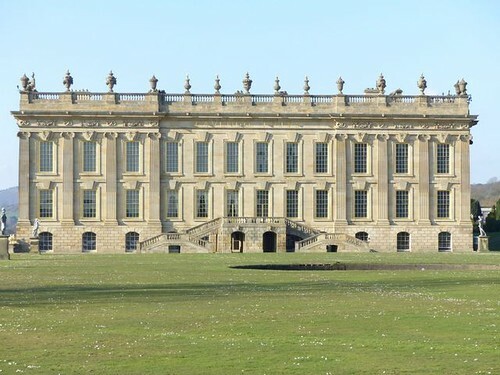 Whilst the book is mainly focused on Jane/Emma, we get to understand a lot of the other friends' thoughts, personalities and motivations - and that was one of the greatest things I liked about this book. Secondly, the friendship dynamics. Whilst there are a lot of themes that run throughout this book, female friendship group dynamics is undeniably one of the most prominent. The book explores not only the surface appearance of a close-knit female friendship group, but it looks beyond it, to the envy, anger, jealousy and other negative feelings that may bubble just below the surface. The messages within this book are so loud, I was thinking about them for days after putting this book down. Finally, the storyline itself. The twists and turns were unexpected - something that is quintessential to a good psychological thriller - and I was really enjoying the feeling of being surprised. 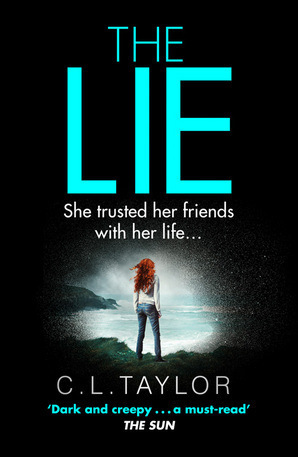 Saying "I couldn't put it down" is such a cliche when it comes to defining a good book, but it couldn't be more true for The Lie. Whilst this isn't exactly a good thing to admit, I'll admit it anyway, for the sake of an honest review: it takes a lot to disturb me. I watch/read/listen to a lot of crime/thriller type content and when something truly makes me feel uncomfortable, I know it's good. This book made me feel uncomfortable so many times. As well as the disturbing content, there was a general vibe of uneasiness and mistrust throughout the whole book and I could feel it even when nothing particularly disturbing was happening. It wouldn't be an exaggeration to say this is one of my favourite books of the year. I would highly recommend reading this book if you like good thrillers that will disturb you in all the best ways. *Image and ebook provided by French Press Bookworks in exchange for an honest review. Victoria Wesley is a witch. Her parents and twin brother are also witches, or at least they were until they were killed by vampires and werewolves respectively. Victoria, a teenager, finds herself wandering, looking for answers, never staying in one place for very long. She accidentally builds herself a reputation as The Lone Witch and becomes a bit of a supernatural celebrity. This book was sold to me as "a paranormal romance for those who don't like paranormal romances." As someone who has always failed to be interested in that genre, I was intrigued. Not to mention, French Press Bookworks has yet to really let me down. * True to their word, I did like this book. Any story lines that were romance or love based were secondary, if not tertiary, to the overarching story line about a powerful teenage witch looking for who killed her family and why. 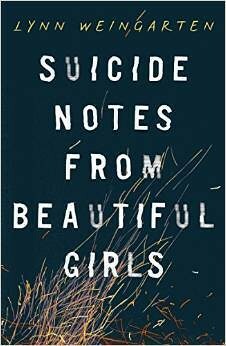 The story is very interesting, though at times heavy on "teenage drama". The characters and their roles in the group are thought out and not two-dimensional. The villain of the story definitely appealed to me. He had the charm, intelligence and touch of crazy that I enjoy seeing in bad guys. Stories are always more interesting when the antagonist knows so much more than the heroes. I will say that the second half of the book had a handful of spelling/grammar errors, but I received an ARC so hopefully those are corrected in the final publication. Antoinette does a great job of setting Remains up for a sequel. While this isn't my genre, I will say that I am interested in reading the next one. This is an interesting world with many avenues (i.e. military labs that "study" the supernatural) still left to flesh out a bit more. So, if you are looking for a paranormal story with blood and fire, I do recommend this Remains by Belle Antoinette. *I'm still waiting for Grim Hearts to be published. Summer is just around the corner and hopefully this means you guys have a little more free time to indulge in. For some of us - well, lets be real here, most of us - this means delving right back into our beloved literary fandoms. While I think I'm part of more TV show fandoms, when it comes to book-based fandoms, I'm most certainly a part of the Harry Potter generation and will be part of the wonderful fandom always. I'm also a big fan of the Shawdowhunter world, created in the Mortal Instruments and the Infernal Devices series by Cassandra Clare, and will never pass up an opportunity to spend hours scrolling though images, memes, gifs and the general awesomeness that is Tolkien's The Lord of the Rings, and The Hobbit. Of course these are also movies, and while I love them too, the books always win. I used to really like the Twilight series, and had read the first book or two before they became cool. My friend and I used to talk about it a lot (when it came out we were only 15), but I think the hype and the movies definitely pushed me out of that world, and I found myself no longer caring. Funny how that happens sometimes. I'm still waiting for the day that I get thrown into a community in the depths of Tumblr and obsess over it until something more important comes around, which probably won't ever happen. I find it pretty admirable that some people's levels of dedication to their fandoms range from casual browser to complete die hard obsessive. I've also found myself at levels of astonishment at the effort people put into fan-art, and I see it and wish I had the talent to do what these fandoms do. I grew up in Potter Madness. I was desperate to receive a Hogwarts letter on my eleventh birthday, and truly believed that it was possible. For the release of the final book I remember queueing up outside W H Smith at midnight while I was on holiday in Cornwall, there were so many people there and the queue went back down to the beach, it was a wonderful excited atmosphere. Even though I haven’t read the books for a number of years I will always be a fan, and although I never thought the films did justice to the books I still loved those too, and went to the Harry Potter studio tour as soon as it opened. I started my 'fandom' journey like many through the Harry Potter books and I haven't really left - I'm definitely a person on the periphery now but I've loved being a part of the online aspects and going to Harry Potter conventions. After that I pretty much went along most of the 'big' fan eras since then. I'll begrudgingly admit to being a Twi-hard back in the day, but I was also super into the Hunger Games (totally the feels after finishing Mockingjay when it came out and all the JLaw casting drama!) and Divergent communities for a while. 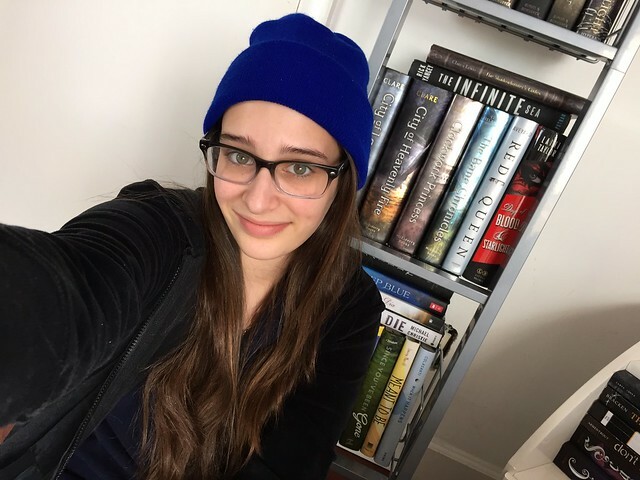 Nowadays I'd probably identify myself first and foremost as Nerdfighter, which in all honesty is a community that stretches far past John Green's books. Over the years a lot of my books I read are less 'series' based so I find myself just being a lukewarm fan of most things. I'm still waiting for the day I get suckered into my next huge fandom phenomenon! Which book fandoms have you stuck with till the very end? Are there any you've dropped from your lives? Or are you still searching for that one book that will take hold of your life beyond the novel? Next month we wanna get an idea of where you read and your reading routines. 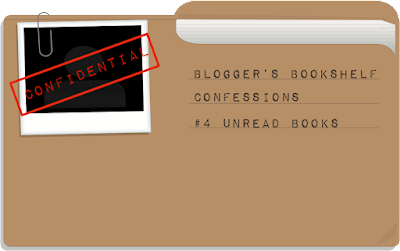 If you fancy getting featured in the post just email bloggersbookshelf@gmail.com or drop us a tweet @blog_bookshelf! 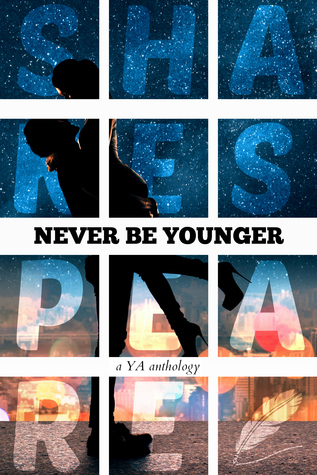 Shakespeare's classic plays are given a modern twist in this new YA Anthology. There's high school drama and space explorers, dreamy love stories and darker tales of magic and witchcraft. The book brings together all the best bits of the timeless Bard's work, including revised versions of A Midsummer Nights Dream, Macbeth and Romeo & Juliet, providing a unique collection of short stories for the Millennial generation. The easiest way to review this one will probably be to take each story individually - they're all very different and penned by an array of authors. Star Cross Lovers: The first story eases you into the anthology with a modern retelling of Romeo and Juliet. The two star crossed lovers are literally living in among the stars in this Utopian space adventure, which I could totally picture turning into a fully fledged series. The Scarf: A revenge based story based on Othello (without the death and stuff - this is a theme with these adaptations). I really enjoyed the high school politics of this one, as it focused more on the relationship dynamics and characters than a super complicated plot. A Day of Errors: Total teen comedy fodder very much in the same vein as a lot of Shakespeare's modern adaptations have been done (think She's The Man/10 Things I Hate About You). This short story - inspired by A Comedy of Errors - is the type that'll give you so much second hand embarrassment for everyone involved. It's super fun and probably the quickest story to read in the Anthology. Any Way the Wind Blows: I would say this one was probably the most confusing and the least similar that I know of to it's original text. Inspired by the dark tragedy of Macbeth, the macabre tone of the original play is still there in the themes of this one. To Undreamed Shores: The most dreamy out of all of them. Romantic and fairytale-esque, this story was a nice change of pace from many of the others. From what I know of The Winter's Tale, this adaptation is probably the most similar to the original. A Witches Life: My brain immediately flew to American Horror Story: Coven reading this one (and you'll have no problem picturing Talia and Evan in the lead roles). I liked the paranormal element of warring witches and warlocks (based on ?? ), but felt the short story format didn't suit the plot line of this one and I finished it feeling a bit rushed. Mark the Music: Merchant of Venice is one of my favourite Shakespeare plays so this was a really interesting one for me to read. I did enjoy the complete modernisation of Belmont into a EDM club, and it totally reminded just how gross and the original text was. In terms of style, this one felt a bit 'fan-fic-y' for my liking. A Gargoyle's Prom Nightmare: Based of A Midsummer Night's Dream, this is pretty close to the original but I didn't enjoy it as much. The magical elements and tom foolery of love spells and cases of mistaken identity were all still present, but it kind of mad it more confusing. Overall, Never Be Younger was really fun to read and perfect if you have a short attention span for long YA novels/series. The great thing about this anthology is that you don't necessarily need to know the original text. 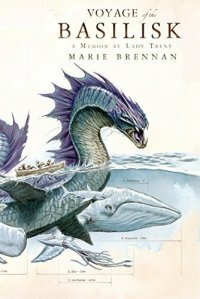 Each story stands alone as a unique piece, but if you have read any of the plays it's cool to try and find the similarities. The short story format at times can feel a bit stop/start and some resolutions come about far quicker than I'd like them to - but this is totally expected considering the need for short page counts. My own personal favourites - if you could tell from the mini reviews - were the stories based of Romeo & Juliet, Othello and The Winter's Tale. These ones in particular were great standalone stories, as well as cool tributes to the Bard's work. For lovers of...Baz Lurhman's Romeo & Juliet; She's The Man; and 10 Things I Hate About You. Whether book bloggers or just avid readers we all know Goodreads is a great tool for keeping track of our reads online, and I'm sure many of you are taking part in their reading challenge this year. But what about when the computer is switched off? This year I made the decision not to participate in the Goodreads challenge. Whilst I am still updating the site when I finish a book I'm also keeping a note of all the books I read throughout 2015 with the intention to count them up when the end of the year rolls around. Of course being a blogger I also need to store notes for reviews here at Blogger's Bookshelf and keep a track of my Netgalley shelf - two other things I would also usually do on my laptop... Of course a laptop isn't always to hand when that perfect word for a review or a brilliant idea for a new blog post strikes. With many people also making the effort to switch off and take a little downtime away from technology, especially over the summer months, this got me thinking that perhaps some of our readers may also be keen to find new ways of recording their reading habits and making review notes whilst offline. So today I thought I would share a quick look at how I've been keeping track of my reading this year! As I'm not using the Goodreads challenge to tally up my reads this year I wanted to find an alternative way to keep track of all of the books. Although I considered just keeping a list within my planner once I saw this star jar idea from Priscilla (you may recognise her as The Readables on YouTube) I knew it would be the perfect way for me to keep track of all my 2015 reads. Not only is it a pretty way to do the job but it also allows me to record my re-reads, something which I wouldn't ordinarily do on Goodreads. This was important to me as my only personal reading goal for 2015 was to re-read five books, as I can usually never find the time for them. I decided to colour-code my stars by rating and also designated a colour for the re-reads. So far this method has worked really well for me and I can't wait to count them all up at the end of the year! For keeping track of books I'm planning to review, or may potentially review, I have a word document where I make notes and begin to form the final sentences. Whilst this does work well for me and provides a great starting point when I sit down to type up the posts, it isn't always practical to reach for my laptop. As I like to read in the evenings when I don't have the word document to hand I always end up making these review notes the next day, however sometimes the perfect word just pops into my head whilst reading and I know I won't remember it by morning. For this reason I find it handy to have somewhere to make real pen-to-paper notes which can then be transferred to the computer at a later date. 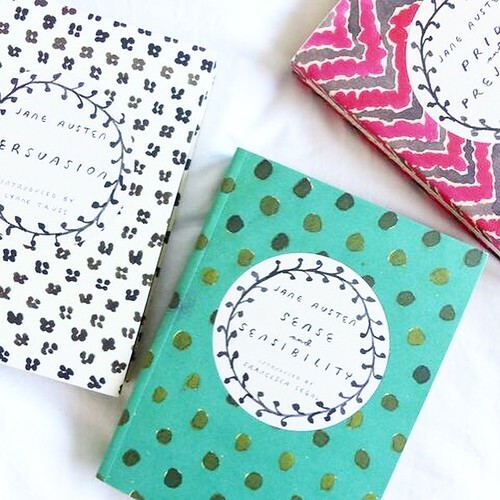 For ebooks I like to use my Paperchase book journal which has pages specifically designed for reviews, including space for the title, author and notes. For physical books I've found that my bookmark pad (kindly gifted to me by Ria) definitely comes in handy! It's sort of like a mini version of a book journal with sections for the title, author, date started, page number/notes and date finished. It's perfect for noting down page numbers you want to remember or any quick shorter notes, plus it obviously also functions as a bookmark which is always useful! Although I'm not using my planner (which if you're wondering is an A5 ARC) to list all of the books I've been reading I do use it to keep track of review books, and have a page dedicated to Netgalley. Here I list each book I have received for review, along with the release date and tick boxes in columns labelled 'read' and 'reviewed'. This is a simple way for me to have an overview of my review titles whilst away from the website and helps me to make sure I'm working to share my thoughts around the same time as the book is published. I haven't personally used this method for any other books but I also think it would work well for tackling a more general TBR list. 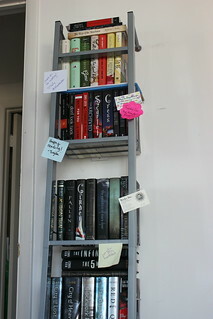 How do you keep track of all the books you've read? Do you rely on technology or keep your own written lists? Don't forget to let us know in the comments section below! So because I'm extremely disorganised, I only just remembered I had to post today. I also have nothing to write about. I have been staring at a blank page for around half an hour, starting posts, writing about 3 sentences then giving up. I guess I have writers block. Therefore, I decided to do a post that involved no thought from me, and share some of the quotes I have highlighted on my kindle. There will be a more interesting post from me in two weeks time, I just can't think of it today. All of these quotes made me think about something in some way, though, so hopefully you will enjoy them. Please bear in mind that this review contains very mild spoilers - but nothing major. The Memory Hit focuses on the lives of a few teenagers and the ways in which they get caught up with a drug called Nostalgex: a pill that allows users to access memories from their past as well as remember recent things like chapters from a textbook. The book is from the perspective of Jess and Cooper, in alternating chapters, although at times it could be hard to tell who was who, as they sounded so similar and even with the headings, it took me a moment to get into each character's side. When I saw a quote from James Dawson on the cover, I knew I needed to read this book. With thriller themes and fast-paced action, it's certainly a book you can speed through at an enjoyable pace. However, I had a few issues with this book that I just couldn't ignore. Firstly, Jess has a complete disregard towards people dying - it's just kind of brushed off and whilst it would have been more realistic to show her emotions as more than just a quick shock, I understand that the author was trying to get as much action in as she could. Secondly, I feel as though there were so many things happening that it didn't feel realistic. The action and pacing was good, but the events in the book didn't seem to make much sense in the real world. For this reason, I had to separate myself from reading a contemporary thriller and pretend I was almost in a fantasy book, in order for it to feel more real. I didn't really connect with any of the characters and I can't say I particularly liked any of them either. One aspect of the book that I approved of was the portrayal of an abusive relationship. From the beginning of the book, we learn that Jess' boyfriend is an abusive one and whilst some YA books glorify this kind of behaviour, this one didn't. We clearly saw Jess' thoughts before and after she realised this wasn't okay and it was clear she wasn't putting up with it anymore. Overall, the book was okay. I would recommend it if you like fast-paced action thrillers but if you want something hard hitting or realistic, this probably isn't for you. For the most part, I felt as though the book was trying so hard to be a twisty thriller, it forgot to make sense. "Do I have unread books? Excuse me a minute while I roll on the floor in laughter. *takes a minute* At the last Dewey Readathon, I thought a good challenge would be to make a dent in the books I haven’t read yet. I quickly had to change this challenge because there were just too many books. And this isn’t even counting all of the free ebooks that I’ve never even looked at after buying! Free ebooks are just so tantalizing! Book sales are almost impossible to ignore! 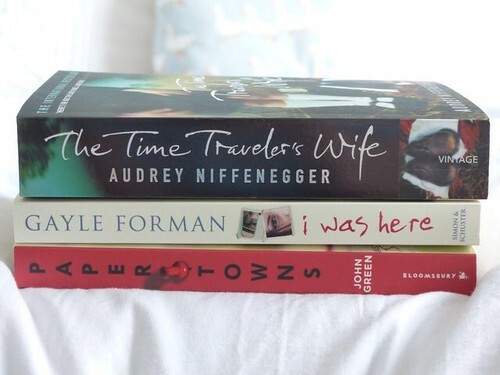 The only time I hesitate to buy books that I’m not sure I’ll read right away is when they are full price. It’s just gotten so much easier to amass large quantities of books. I’m actually interested to see at what point the availability-to-read-time ratio levels out or bottoms out." "I have a ton of unread books on my TBR list, which keeps getting a little bigger every time I watch a Booktube video, or I read a blog post/review. I keep meaning to get the books but I keep forgoing that in favour of buying all new books each time I'm in the bookstore. Oops!" 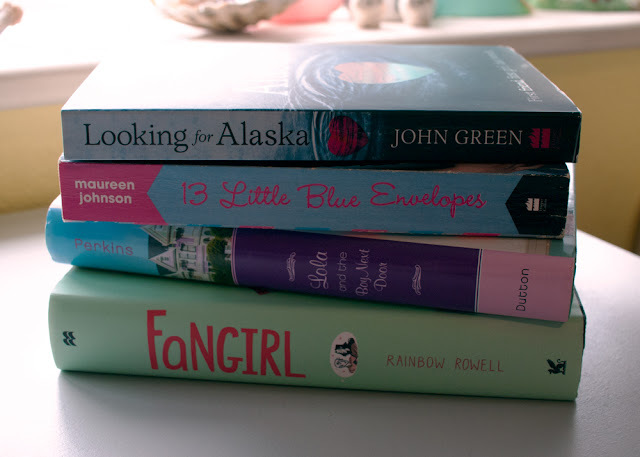 "I don't even want to think about the amount of books I have on my shelf that have been sat there unread. The thing about buying books is that I rarely feel guilty about buying them. It's not like new clothes or make-up or even a cheat meal. 'Books are good for me. They further my knowledge of of the world!' I tell myself as the cashier at Waterstones rings up another three...that will inevitably find themselves sat on my TBR shelf months on end..."
"I don't generally buy books unless I know I will read them, although I do have a number of 'double' copies of books that I've read, because I've found newer editions with fun covers, such as when the Jane Austen novels were revamped." 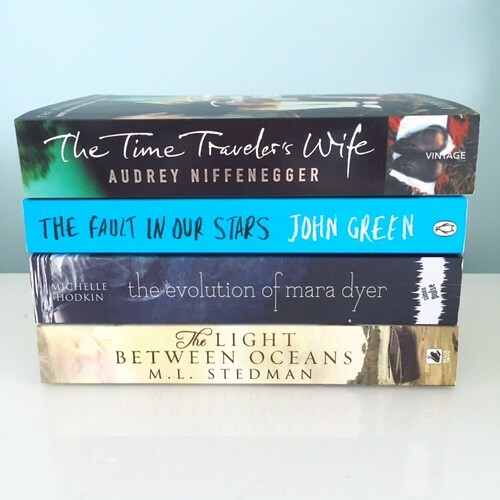 "I don't actually have a tbr pile because I buy books when I want to read them. However, I am guilty of taking way too many books at a time out of the library!" 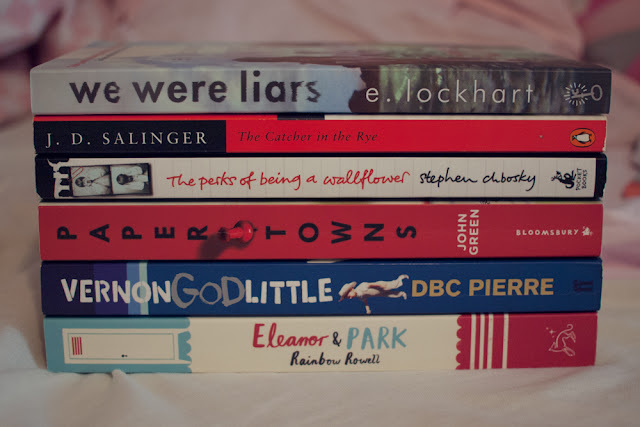 "I have a TBR stack that I don't have any hope of getting through. I can't stop buying books (this week I picked up 11!) and they go on the top of the pile. The ones I have had a while just don't look as appealing anymore, languishing at the bottom of the stack..."
"I'm a sucker for bargain bins and charity store finds. You can pick up so many books for so little money! But it does mean that, yes, probably over half the books in my room are unread. I've just count, and I currently have 305 books on my shelves, and 142 are unread. That's pretty bad. However! I am reading the books I own, and haven't been to the library in months, so I can actually get through these ones." Maddy has spent her entire life in a literal bubble. Allergic to the outside world, she's housebound due to Severe combined immunodeficiency (SCID) and subject to the most clinical of conditions, with only her mother and Nurse, Rosa, for company. She doesn't know anything else outside of this life and she doesn't really mind - that's what books, TV and Skype are for right? Plus it's the only one she's lived for the past seventeen years, surely she's not missing out on much? One day, a moving van rumbles into her street, depositing a new family across the road and a boy named Olly into Maddy's life. What happens over the course of the next few weeks will challenge and change everything she's ever known about herself, the world and love itself. How do you revamp the girl falling for the boy next door YA trope? 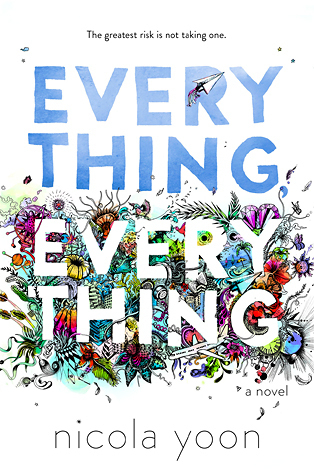 Everything, Everything manages to do that and more. The whole premise of the book is super interesting and it's fascinating seeing the world through Maddy's eyes - she's a bit like Rapunzel, but is completely content in her 'tower' until Olly comes along. Personally I though the plot itself was very cliche - and very Insta-love-y, which may put some readers off - but juxtaposed next to the characters the story feels fresh. The romantic tension between Maddy and Olly within the first few chapters of the book is so damn palpable. There's almost an innocence about their relationship at first, because of Maddy's condition, that you don't often see in YA - don't worry though you do get the full flush of young hormonal love too, and honestly it's pretty electric when it happens. In terms of other characters, I adore Rosa - she feels more like a mother than Maddy's own mum and she's utterly endearing. Others are less memorable, but the dynamic between Maddy and her actual mother is definitely worth a mention and I love reading the change in the power play between the two as the book goes on. I also just need to give a shout out for diverse representation - Maddy is half Japanese, and half African-american - but the plot is nowhere near centered around her race. In fact the only mention is when Maddy is describing herself and all the times Olly tells her she's beautiful - Awwww! Overall, call me a romantic but Everything, Everything made my heartache in the best way possible. But as much as I got the warm and fuzzies reading about this unique against-all-odds young love story, there slightly more serious tones were also really great to see as they added a bit of depth to the story. For lovers of...The Fault In Our Stars, All The Bright Places, and A Walk To Remember. "When June met Delia, she was a lifeline. Their intense friendship gave her a sense of belonging, of security, that she’d never had before. She felt braver, smarter, funnier, more attractive when Delia was around. But then something went wrong, and Delia and June haven’t spoken for a year when an announcement is made at their school that Delia is dead. June barely has time to mourn before Delia’s ex-boyfriend convinces her that Delia didn’t kill herself but was in fact murdered, and June is fast swept into a tangle of lies and deceit – and a conspiracy she can barely conceive of, never mind believe." 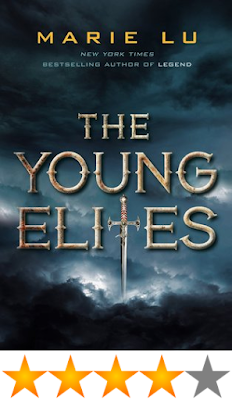 Similarly to my last YA review this is a particularly tricky one to write without giving away too much. As with any book that has some sort of mystery element I don't want to say too much as it's best you go into the book knowing as little as possible! One element I really enjoyed, and am able to talk about without including spoilers, was the format which included chapters from the present time as well as flashbacks that gave a clearer picture of June & Delia’s intense friendship. In general I think mystery books work best with this type of structure as the reader isn’t given all of the facts and has to guess along the way as more snippets are revealed and the bigger picture begins to form. 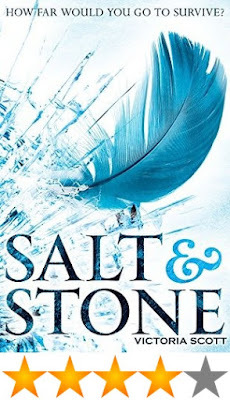 Whilst I wasn't crazy about the characters themselves I was definitely intrigued enough by the plot and format to continue reading and discover more about their complex situations. For me this particular novel felt a little like two books in one, as after the first big reveal about what happened to Delia (right on the halfway point) the tone and style seemed to change. On the one hand this could be seen as a positive, a good way to keep readers on their toes. However if you particularly enjoyed the first section then you may feel a little disappointed by the different direction the story takes in the second half. In all honesty I found this book pretty difficult to rate as there were both parts I really enjoyed and other aspects that just weren’t for me. 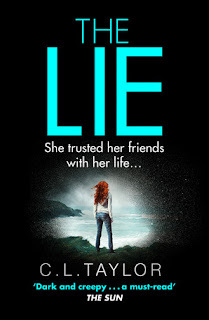 Having said that I would like to read more from this author in future and recommend picking this one up if you enjoyed darker YA books such as Dangerous Girls (Abigail Haas) and Dead Girls Don’t Lie (Jennifer Shaw Wolf).